July is Mid-Winter Dinner Month! The Committee was looking to arrange the always-popular Cuba Street Bistro once again. But as the saying goes, the best laid plans of best-laid men oft gang awry. The building’s owner decided the chosen date would be a good time to undertake earthquake strengthening so the evening had to be scrapped. However do not despair! Bistro 52 has been selected as the replacement. This is located in Lower Cuba Street and the Club has been there previously – and it very good it was too. The venue has been booked for Wednesday 19 July, with a 6.00pm start for a 6.30pm ordering of your meal. You will be welcomed with a glass of bubbles! Attached to this Newsletter is a Payment Advice for June 2017 (for both the dinner and your subscriptions). Price for the dinner is $52 per person including corkage – it’s BYO of course. Note the date – this is a week later than the Club’s usual meeting evening. It’s the first week of the students’ new semester and they are still finalising the menu, but they have never let us down before! This looks even now as though it will be a definite winner! We are fast reaching the end of another year and perhaps it is a time to reflect on what the year has offered. Following on from the regular BBQ in January we had Wright’s Vineyard and Winery in February, a great start to the tasting year. 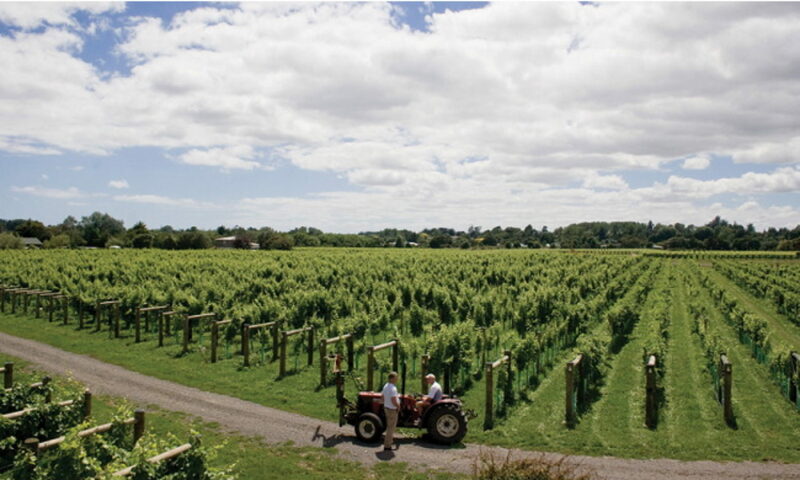 March saw Alpha Domus, a well-established Hawkes Bay producer. April saw Dan Baldock presenting some Penfolds wines, an iconic Australian producer. We tried something new in May by combining the AGM with a tasting from Wooing Tee in Central Otago, while June saw another Hawkes Bay producer in Moana Park. July was the mid-year dinner at Cuba Street Bistro, and August was Italian time with Cangrande. Back to Hawkes Bay in September with Rod McDonald Wines followed in October by Villa Maria. We followed this with yet another Advintage Festive wines evening leading to the December dinner. Your committee are pleased with the programme and hope everyone found something to enjoy. And so to 2015. The programme is coming together very nicely and we hope it will be as successful as this year has been. We wish everyone all the best for the festive season. Another great meal at Cuba Street Bistro; convivial company, great wine what more can you expect and what more can I say. Congratulation to Francesca Menzies on her Life Membership award. Francesca has been a club member since 1983 and President from 2001 – 2004. The committee thought that the dinner was as good as last Christmas and the evening was a great success. We have had a number of positive reports from those attending with the restaurant being very accommodating and easy to deal with. We will consider pre-ordering in future dinners as this helped with service. Our thanks to Wayne for organising the dinner. See more pics in the gallery. We apologise to members for the lack of a newsletter last month. If you read these newsletters you will know that your editor was “swanning off” in USA & Canada while poor Wayne had work related and home problems to cope with. Never mind we are back in business this month with a couple of great events coming up. 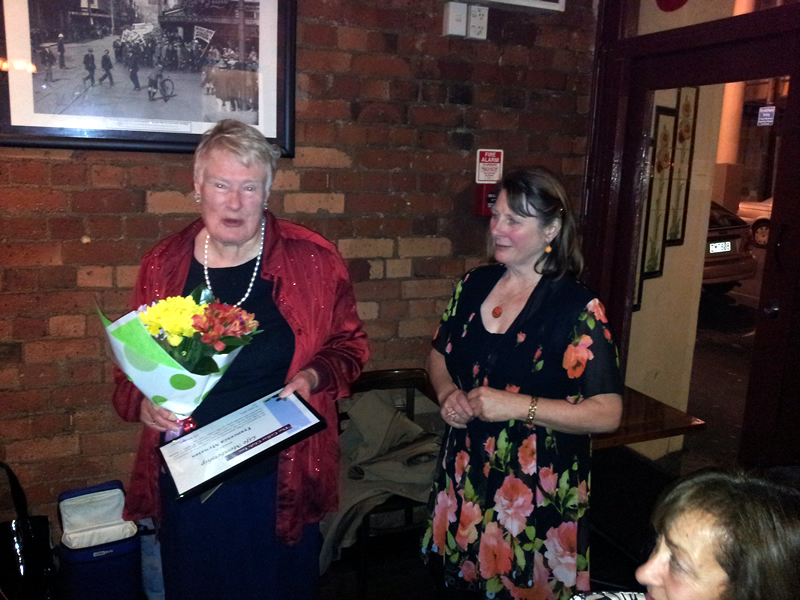 We were pleased that Francesca was able to attend the July Dinner when her life membership was formalised. Congratulations Francesca. In the June newsletter, I mentioned a couple of changes. The late change to the Cuba Street Bistro was a success. Moving on though the astute among you will also have noticed that this month’s meeting is also a change from that previously notified. There was a misunderstanding about scheduling with Millton. Cangrande have stepped in and as you will have noted have offered a great chance to sample some high-quality Italian wines. And I have already mentioned Villa Maria coming in for October. Some members of your committee have had to step up and do a great deal of negotiating to re-arrange the programme at short notice. Congratulations for the great work. A friendly reminder that subscriptions are due. Wayne will be happy to accept subs at next week’s meeting. In addition, membership cards will be available at that meeting. After the great success of last Decembers’ dinner at Cuba St Bistro, we’re off there again. You’ll find the menu below and payment advice for you to download, complete and send to Wayne. Please let us know if you will be attending the dinner or not. Don’t forget, partners and friends are also invited to this dinner. For the newer members, the payment advice also includes a section for the payment of your yearly club subscription due at 1st July. As is customary for the club we will not be issuing invoices so please pay with this form or online. As many of you will realise, next month is our traditional winter dinner when we all bring along a bottle of our favourite wine and share a dinner together. Partners are very welcome and this year we may even get to confer life membership on a club member if she is able to attend. The dinner is being held again at Cuba St Bistro who have stepped in at short notice since the restaurant we originally planned to visit has been sold and it was proving too difficult to finalise something in time for our July dinner. Cuba St Bistro was the venue of last year’s very successful Christmas dinner and hopefully if we can get similar numbers to last December, we will secure sole use of the restaurant on the night. The full menu for the dinner will be circulated prior to next week’s June tasting and I would urge you all to either bring along the payment advice that will accompany the menu to the June tasting or email your response to Wayne as per the instructions on the form. If any of you wish to bring another couple to the dinner to introduce them to the more social side of our club, that is perfectly fine but their attendance and payment, like your own, will need to be completed before the 27th June. The Annual General Meeting passed without problems. We would like to congratulate Francesca on becoming a life member of the Club. 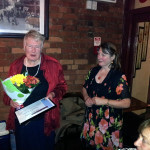 We are really hoping that she can attend the July dinner so a formal presentation can be made. We would also like to thank James Cupit for his contribution to the Cellar Club committee. James has not been with us for long but we are aware his resignation is more about changes to his work situation. We hope to work closely with James in the future as he has many valuable contacts. Please note there a couple of changes to previously notified events. The mid-year dinner is now set for Cuba Street Bistro. We had a great event there last year and are sure they will deliver the goods again. We really appreciate their willingness to accommodate us again, particularly at short notice. We also have a glitch with Martinborough Vineyards over the October presentation. Thankfully Villa Maria have agreed to step in. It’s great when we replace a cancellation with such a high profile producer. A great night enjoyed by nearly 50 members and partners. All the feedback from those attending was extremely positive. Our President said “What a wonderful night – thank you Gayl and Wayne, for organising what may well be the most successful dinner ever! I didn’t get a single complaint.” An excellent venue and great food, thoroughly enjoyed by all those attending. Thank goodness for the cover at Derek’s house. Just as everyone was arriving the skies opened and it poured down. However once there, we were all under cover and enjoyed a great BBQ, some nice wines and convivial company. A good turnout with at least 35 attending including some new members. Let’s hope more people think about attending in future, it really is a great event. 2013 – what a great year we have had. Following on from the regular BBQ in January we had the Mission Estate in February, a fantastic start to the tasting year. 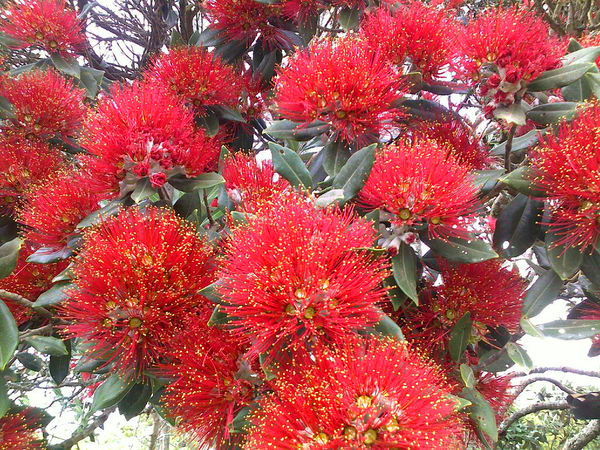 March saw Lansdowne and Bijou with a look at developing producers in the northern part of Masterton. April covered Easter Gold medal wines presented by committee members, while the AGM was in May, allowing members to enjoy a selection from the club cellar, after the formalities. June saw the trivia evening and July the mid-year dinner at La Cloche. August re-acquainted club members with Peter Robinson from Brookfields, while September was an aromatics evening with MacVine. We followed this with a great Grant Burge evening in October and Advintage last month with Festive wines. Dinner this month at Cuba Street Bistro will see off the year nicely. 2014 is looking settled already and we hope members will enjoy the calendar of tastings we are preparing. Compliments of the season to all. Wednesday 11 December 2013, 7.00 for 7.30pm sit down. Numbers are looking great with about 50 indicating their desire to attend. A majority of these have paid and listed their dining preference. Looks to be a great night in prospect. The Cellar Club will provide the club champagne glasses and the bistro has enough restaurant type glasses for one glass per person. They also have small dessert wine glasses available. If however, you have a preference for your own glasses, please bring them along. Just remember to take them home again. I will not repeat the menu as those coming have already indicated preferences. Wayne will have a list on the night to remind you. couple this with a quality dining experience. Perfect for a group of friends, a family outing etc. Please see the menu following, looks really great. As with La Cloche in July we are looking to provide the Bistro with an indication of how many dishes of each item they will need to cater for. If you are going to the dinner please indicate your preference for dinner and dessert.